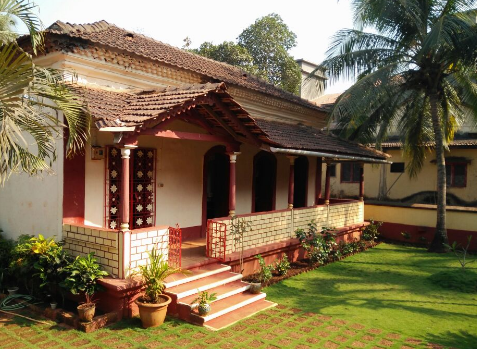 This 150 year old restored Portuguese villa, “Aida” is a 10 minute drive from the beaches of Candolim and Calungute or a short bus ride away. Verem market is a 2-minute walk. Connections to Panaji are excellent by bus. 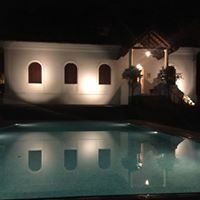 This serviced villa with a private pool has four bedrooms each with an ensuite bathroom. It has another bedroom/living room with a TV and a double bed with an unconnected bathroom. The modern and spacious kitchen and the spectacular ‘Saala’ or Living Room look out to the pool. A lovely dining room benefits from views of the private hill. The villa is serviced – so your beds will be made and rooms cleaned every day! A sumptuous breakfast will await you in the morning. We also provide a local phone to make calls to us or anywhere else in India incase of an emergency. 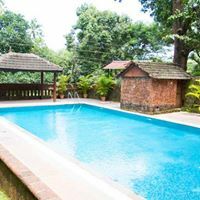 Aida is the perfect spot for a relaxing break in Goa that caters to both the fun-loving and culturally-minded.